The maintenance instruction of the machine parts. 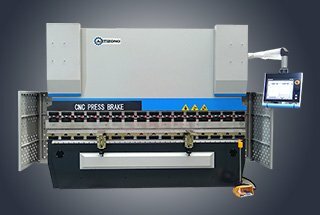 The electro-hydraulic servo numeric-control press brake is of high-efficiency and high-precision in sheet metal bending. 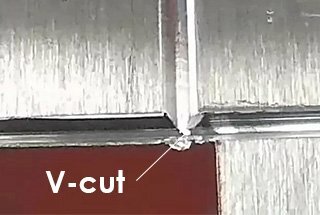 The opening size of V-groove on lower dies, usually larger than 8 times of the sheet thickness, should be regulated for sheets in different thickness. 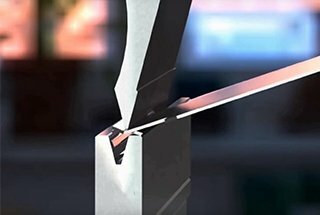 Using different kinds of upper and lower dies can bend all kinds of workpieces. 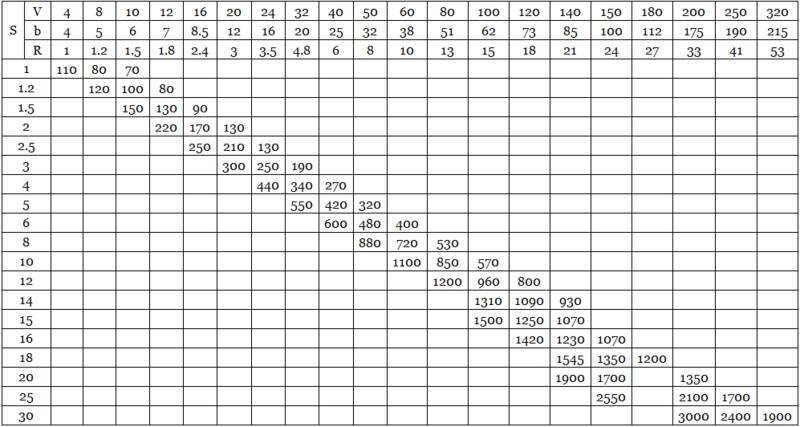 And see the Sheet Metal Bending Chart of Bending Brake (on the body of the press brake machine) for desired bending force or calculate the bending force using bending formula. 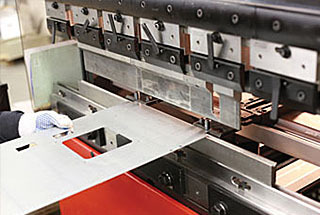 One slider travel makes a sheet bending and the complicated shape workpiece may be achieved through bending many times. 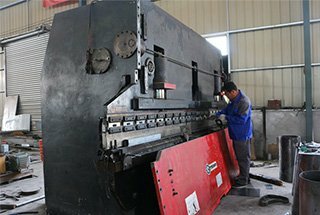 The hydraulic press brake is structured in steel plate fabrication with sufficient strength and rigidity. 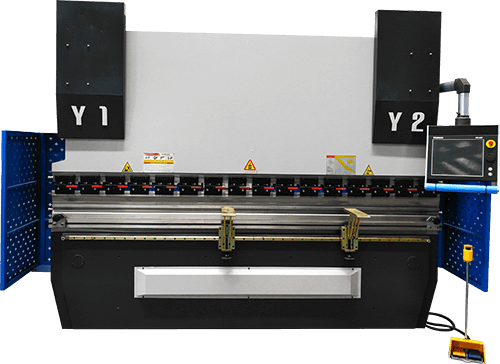 Additionally, this press brake is also featured by the steadiness of work, convenience of operation, and reliable safety. 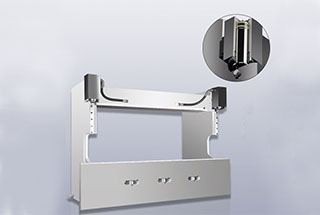 It is equipped with hydraulic electric control, freely adjustable slider travels and inching operating criterion convenient for module trial and adjustment. 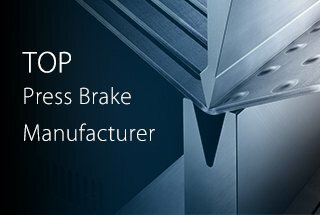 This press brake machine is advanced in technology and reliable in performance, and among the ideal shaping apparatuses. It is widely used in the plane, automobile, shipbuilding, and machine with high production efficiency. 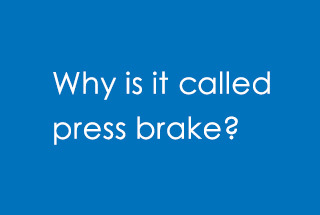 Given a high center of gravity, the bending brake is heavy in the front and light in the rear. So attention must be paid to the center of gravity in order to avoid the turnover of the machine. Silk ropes should be used at a small included angle to assure the consistency of machine. Before running the hydraulic press brake, you must get rid of the rust protection oil on the following moving parts. Note: Permit to use gasoline and coal oil to clean, prohibit using the dissolvent wash. Note: Place the machine on the horizontal underlay. 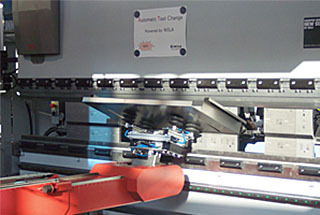 To do the precision adjustment after all parts of the machine are connect well including electrical parts. And in all this process, the bottom screw must be connected well. Note: The level must be check and adjust again after using for 30-50 hours. After the main switch (power phases: R, S, T, PE) coupling, check the hydraulic pump orientation through the short testing start. If the orientation is wrong, cut the power right away, and exchange the two phase-lines (see the hydraulic pump moving arrowhead). The cable entrance can be set on the bottom of the electric box. (1) Confirm the voltages are matching. 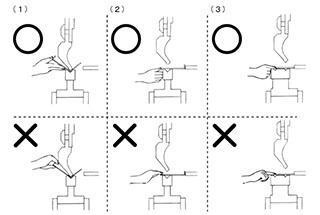 (2) Make sure to let the expert on electric or expert according to the manual to instruct the person to do the electric connection of machine. 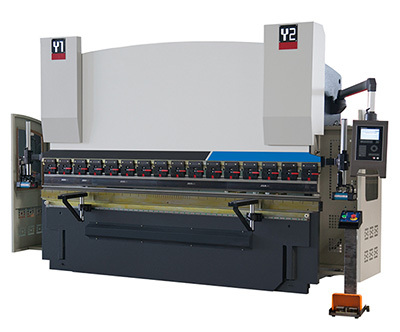 The electro-hydraulic servo press brake is gathering with numerical technology, servo and hydraulic, upper crossbeam through the movement of the control valve to carry out moving up and down periodically, the measure of movement read by the rasters at two sides of the machine. The signal from the DNC controller through the servo valve to come to the hydraulic pressure signal and control the movement of the valve, each cylinder all has its own independence control loop in the hydraulic system, as well as the servo valve and the filling valve. Note: The position of slider block can be programmed by the equation of absolute value and the size of the angle. (2) The left and right in the table mean we face the front of the machine. 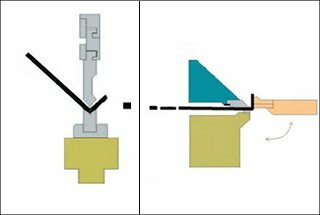 (1) The operator should pay attention to the position of back gauge, if it through the area of mold, the machine will be damaged. (3) Must be careful when adjusting back gauge to avoid hit the lower die. 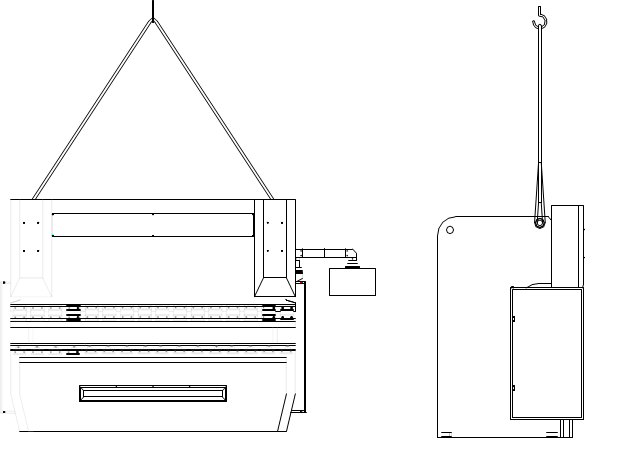 The back gauge is supported by straight-line guide and ball bearing lead screw, is composed by a beam from one side of machine to another side, and the guide of back gauge equipped on the two sides of machine body, behind has free moving working space, X to move the part by the DNC control, the back gauge is driving by servo motor. The hydraulic pressure oil box welded inside of the machine body, the inhaler equipped with it, and the motor, oil pump, high-pressure valve, control valve and electron system are equipped outside, the filtrating core and valve pedestal are equipped on the peak, discharging oil screw equipped on the bottom of oil box. 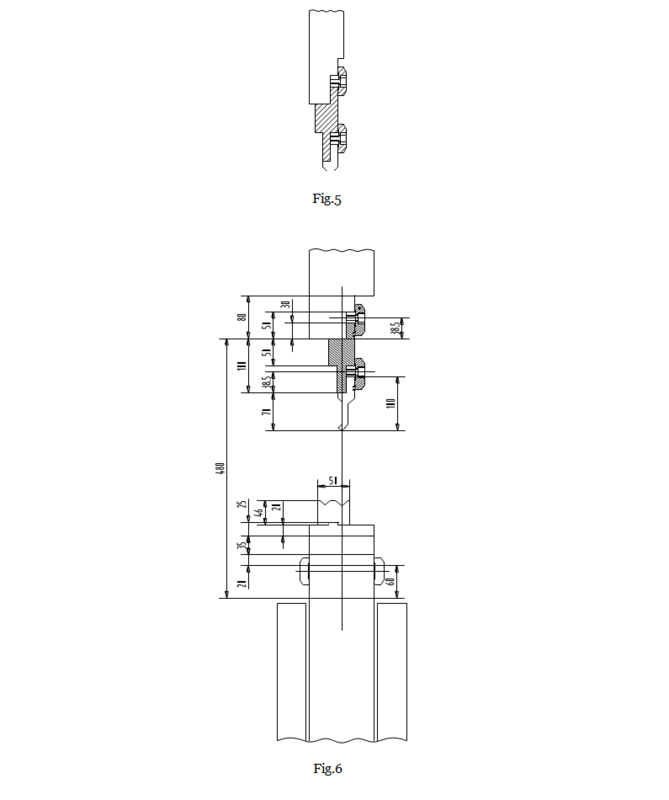 High-pressure gear pump and the main motor connected by flexibility joining shaft. The grade of filtration is 10μm, and max pressure is 400bar when the filter was jammed or change the oil, the filter must be instead. It’s on the top of oil cylinder, when the slider moving quickly, the oil in the oil box through the fill-in valve flow in the oil cylinder, it’s closed when bending. The pressure valve is in the servo valve, back pressure when adjustable return travels. The overtravel protection controlled by DNC, the DNC check the time and pressure oil way of over travel when start. This is also called oil pressure leaking checking. 1st, before the manufacturer orders all machine tool parameter has all established, these parameters can guarantee the operational security. 3rd, when the 2nd request cannot obtain observes, can cause the machine tool parameter change, creates the equipment accident. 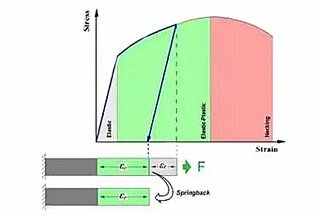 F: The requiring bending force (KN/m) of per meter when the material tensile strength is 400 N/mm. 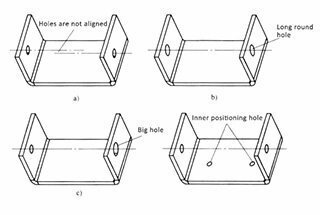 At the same time, min bending width and bending angle are changed, only this, can determinate the limit of lower die overall dimension scientifically. 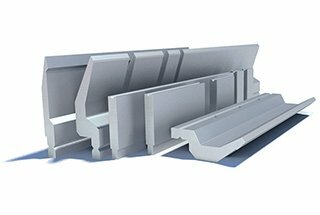 In the bending process, the bending force will flock together on the worktable surface, and function on the tooling at the same time, so the burthen of tooling can bear should not overload. 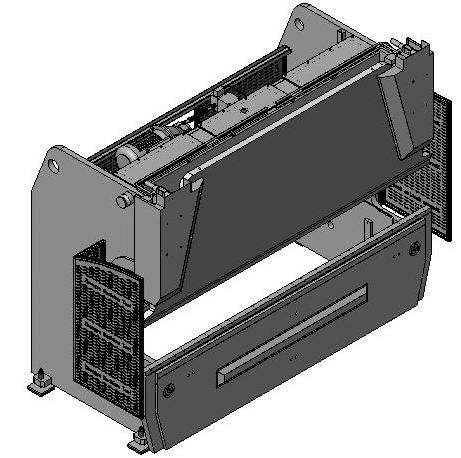 Selecting lower die is V12, V16, V20, when selecting V16 lower die should try to according the thickness of the plate. 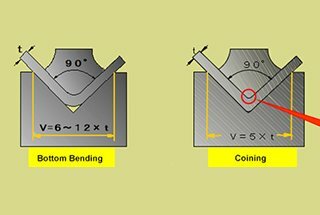 Relatively, the radius is not very important, and when b>Min bending radius, different thickness plate can do on the same lower die. 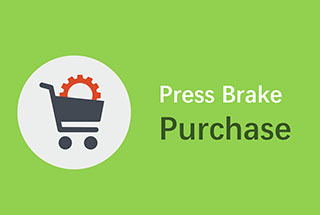 You can also calculate the required press brake tonnage by Press Brake Bending Force Calculator. 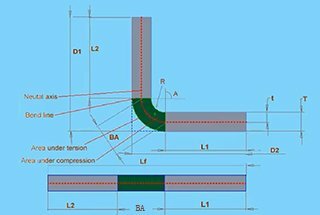 The selection of upper die also need to according to the bending force and the limit burthen can not be overloaded. 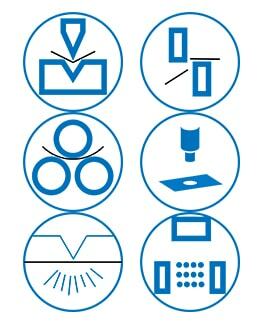 In addition, the customer can choose the special tooling and should pay attention to the burthen which is different from the standard tooling. 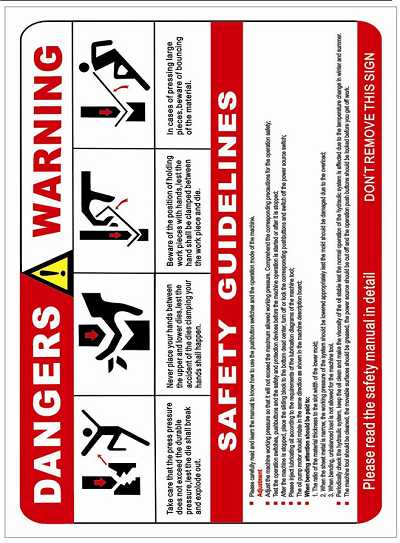 Note: In the dangerous area of the machine, the operator must abide the safety principle, Fig.5, Fig.6. B. In order to avoid accidence, before equipping the upper and lower dies, should set the starting button on the second control position and NC driving button to “axes stop”. Equip the lower die and adjust the clamping bolts. Move the slider block slowly until the distance between slider block and lower die is about the thickness of the plate. Fix the upper die and upper die pedestal, and then set it on the slider block, screw the clamping bolts slightly or close the part of clamping. 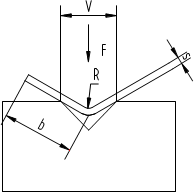 Using little force to press the mold in harness, the center of upper and lower die must be in a straight line. After one side of the mold edge totally connected, screw down the clamp part. The table below only for reference, if there are questions, check the processing material. Make sure the starting will not make any harm before starting. The machine tool must under the condition of safety and suitable for working to run, all the protector and safety measure must be positioned. 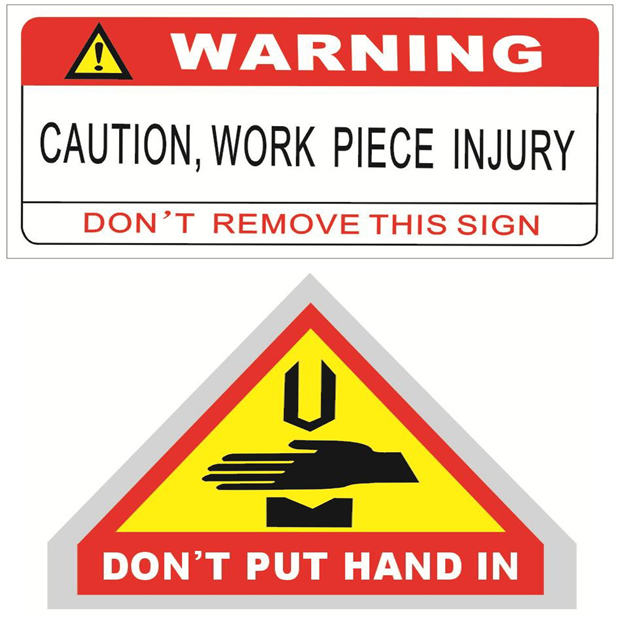 Avoid any dangerous operation referring to safety. Once appears faults should stop the machine and remove the fault right away. Resolving faults must be instructed under the suffice fitter people or expert. Normally, check whether there is damage or fault from the outside of the machine and report it, stop the machine if necessary. Bending not correct Control valve failure, basic setting wrong, transducer doesn’t adjust well, or transducer damaged. The press head can not go back, the press head go back slowly Control valve SV1/2 damaged, exchange valve Ev1/2 have no response, filling in valve jammed at the closing position, single valve EV9/8 at the closing position, pressure adjustment valve EVP damaged, wrong parameter setting, guide rail move spang, stroke pressure is too low. Note: we require the competent person to solve the possible failure, and abide the inspection technology rule, in the warranty period, should notice the maintenance people, if the failure caused by wrong operation, the maintenance people will not suffer any duty. After the machine stopped, move the slider block down manual until it connecting the wood slightly. 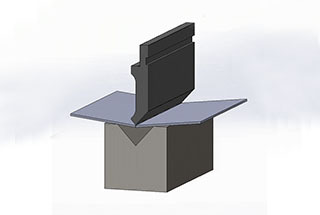 In case of stop, one side of the slider block inclined or lower than the level position can adjust manual, but need to off the machine, and then start it in the normal condition. 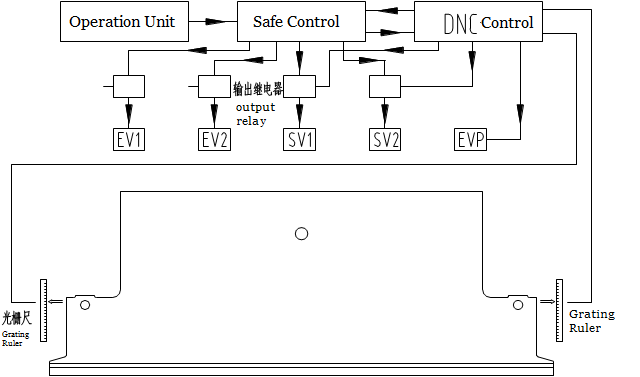 Note: If the slider block can not be proofread or the position function is closed for several times, this can determinant the control system or hydraulic system failure. If the fault can not resolve by the user, should notice the manufacturer right away. Check the position of the oil everyday, when the slider block on the top, observe the oil position meter, if need, fill in oil. Filling oil exceed the 10% of the oil box cubage, must let the hydraulic oil circulating for single way, the time can calculate the oil box cubage and the circulating frequency of hydraulic pump. When the slider block is at the upper dead spot, adding the oil to the middle of oil staff gauge (from the back of oil box can see it). After working for 200 hours, the filter core must be instead for the first, after that, instead it every 6 months or after working 1000 hours, or the yellow indicator light “instead of the filter” bright. Filter net requests the 10U, after exchanging the core, the oil must be circulating working more than 1 hour as the mentioned above. Note: After the yellow indicator light “instead of the filter” bright, must change the core in 8 working hours. 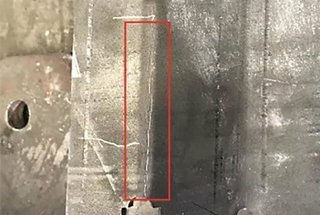 If need, all the axes zero position of the machine which the back gauge without localizer, must be checked once a week or get the compensation from DNC. ——If the slider downhill, should ask the manufacturer to change the valve. 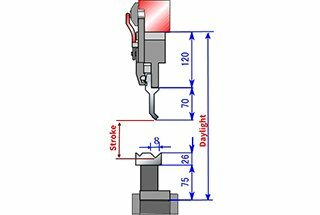 Note: The checking valves mentioned above are the part of the safety system, before exchange the potential damage valve should not start the machine tool. Inspection of the pressure adjustment valve. The safety seal ring of mechanical pressure adjustment valve must be inspected once every year. Note: If cannot do the adjustment above, any claim for compensation of quality problem in warranty period is inefficacy. ——Before restart the machine, make the hydraulic oil circulating for about one hour.